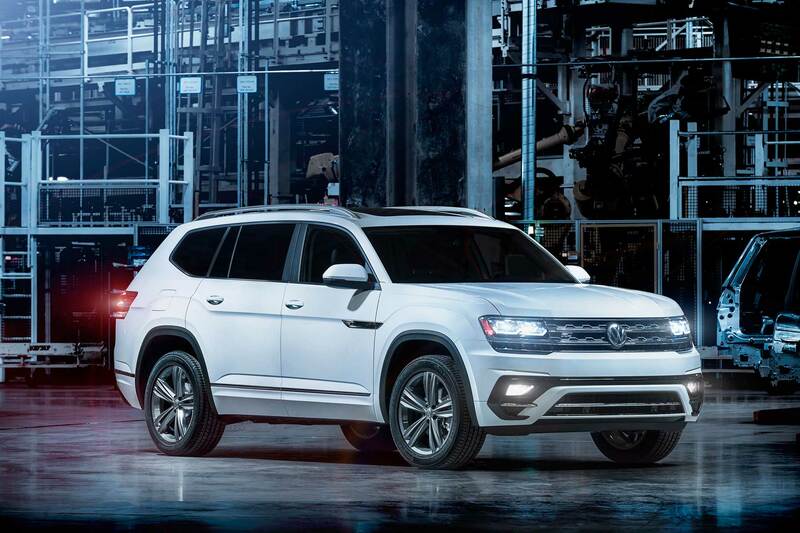 Volkswagen Group of America’s production facility in Chattanooga, Tennessee has notched up an important milestone. Completing construction of the 100,000th Atlas three-row SUV cements the importance of the U.S. facility. More impressive is the time taken to achieve this important number. The first examples of the Atlas left the production line in December 2016, meaning it has taken just 22 months to hit this special landmark. Developed with the United States in mind, the Atlas faces strong competition in the mid-size SUV segment. Established rivals like the Ford Explorer, Dodge Durango and Jeep Grand Cherokee make for a challenging market. However, winning a ‘Top Safety Pick’ from the IIHS for crash test performance will have helped. Based upon the MQB platform, which underpins everything from the Seat Ibiza to the Skoda Superb, the Atlas is also sold as the Volkswagen Teramont in Russia, China, and the Middle East. 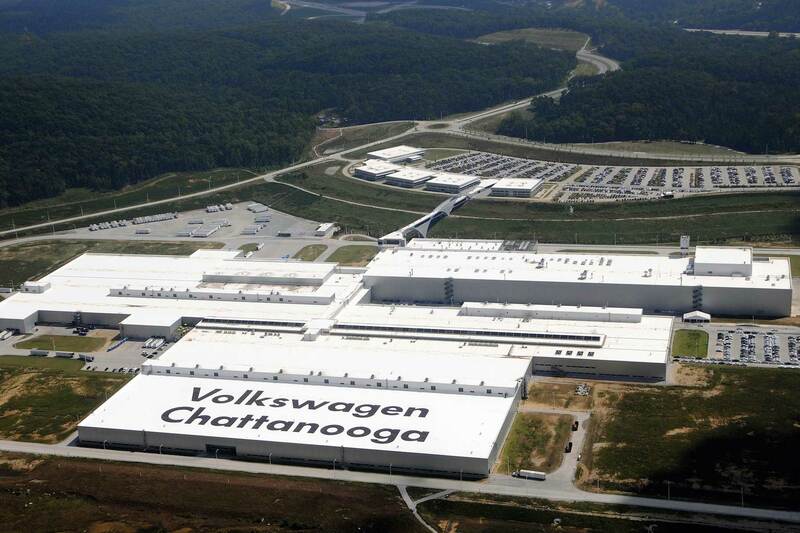 Opened in May 2011, the Chattanooga plant has also been responsible for the production of U.S.-market Volkswagen Passats. Capable of building an array of different models, the factory has been singled out for impressive performance in energy efficiency and sustainability. 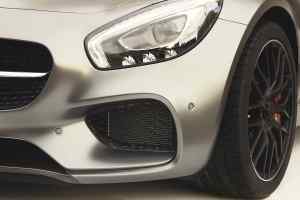 The site received coveted Platinum Leadership in Energy and Environmental Design accreditation in 2011, becoming the first car manufacturing plant to do so. Eco credentials were increased further in 2013, with the opening of the largest solar park in Tennessee to supply the factory with power. Employing over 3,000, the Chattanooga plant has been credited with creating more than 12,000 additional jobs in the local area. The plant has also been earmarked to build the production version of the smaller Atlas Cross Sport SUV, shown at this year’s New York Auto Show. 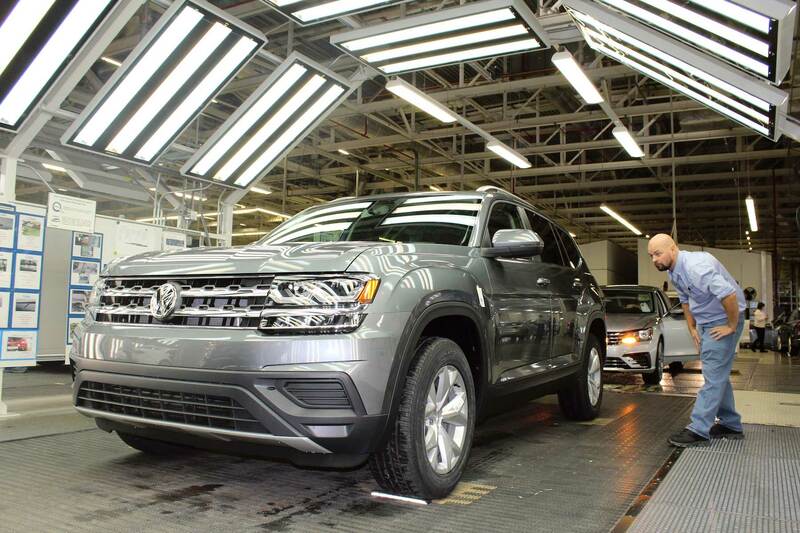 The actual 100,000th Atlas to leave the line was finished in Pacific Blue, featuring a 3.8-liter VR6 engine and eight-speed automatic transmission.